The Circuit of the Americas will have new kerbs installed ahead of this year’s United States Grand Prix in a bid to prevent a corner cutting incident. 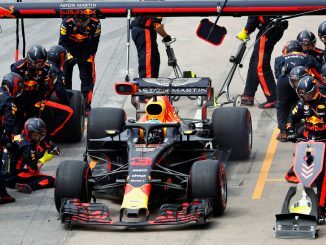 Last year’s race ended in controversy when Max Verstappen crossed the line third, but was handed a five-second time penalty for leaving the track and gaining an advantage as he overtook Kimi Raikkonen late in the race, handing the final spot on the podium to the Ferrari driver. 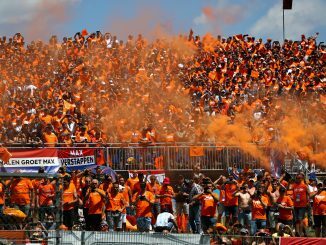 The Dutchman was unhappy with the FIA after the race, criticising a lack of consistency in the enforcing of track limits. As a result, new low kerbs will be added to turn 17 in a bid to stop drivers running wide at any point in the race weekend. Speaking to the media ahead of the new season, Formula 1 race director Charlie Whiting insists F1 is getting close to eliminating the uncertainty surrounding track limits at all circuits on the current calendar. As well as additional kerbs where Verstappen exceeded track limits, there’ll be kerbs on the exit of the first corner similar to those used around the final turn of the circuit to stop drivers running wide there. 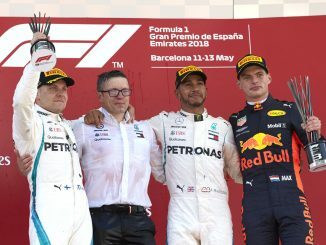 Whiting also revealed the FIA is looking for a way to stop drivers exceeding track limits deliberately and extending a five-second lead over the car behind to gain an advantage, like Nico Hulkenberg did when overtaking Sergio Perez at the Abu Dhabi Grand Prix at the end of the 2017 season. 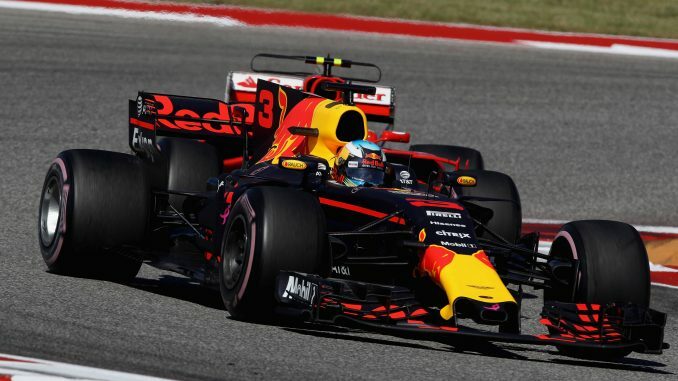 The Renault driver was given a five-second penalty for passing the Mexican off the circuit, but had time to open up a gap to ensure he’d keep the place when the extra time was added at the end of the race. The race director says this is something that needs to be addressed. Such kerbs will probably have to be removable to meet Moto GP’s requirements. A number of kerbs at the Red Bull Ring had to be re-profiled in order for the Austrian circuit to be added to the motorcycling calendar in 2016. Moto GP will be at the Austin track next month, giving F1 six months to make the necessary changes for this year’s race.